Mark McGuigan. Picture: Michael Gillen. The forward has hit 17 goals this season and is expected to be crowned Falkirk Herald Sports Star of the Year 2018 at next week’s Falkirk Sports Council Awards. 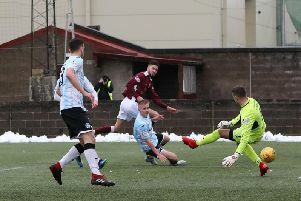 And the good news continues as the 30-year-old penned a contract extension with Colin McMenamin’s side at training this evening, to ward off potential suitors and help Stenhousemuir cement a place in SPFL League One. 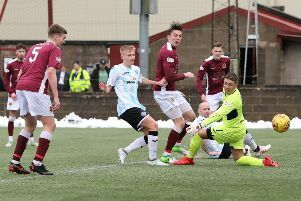 Arbroath were rumoured to be interested in the striker whose stock rose even further with an equaliser at Pittodrie in the Scottish Cup draw with Aberdeen in January. 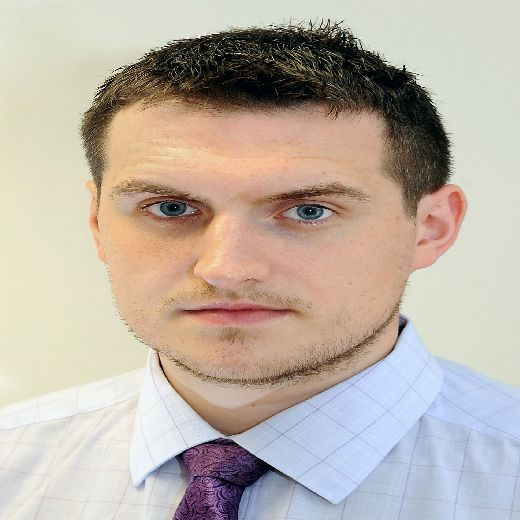 McGuigan has previously played at Stranraer, Albion Rovers and Partick Thistle.